A ruling is expected soon from the same appeals court that recently lifted protections for wolves in Wyoming. Officials say that whether Minnesota, Wisconsin and Michigan can hold wolf seasons this fall would depend in part on how soon the court rules. 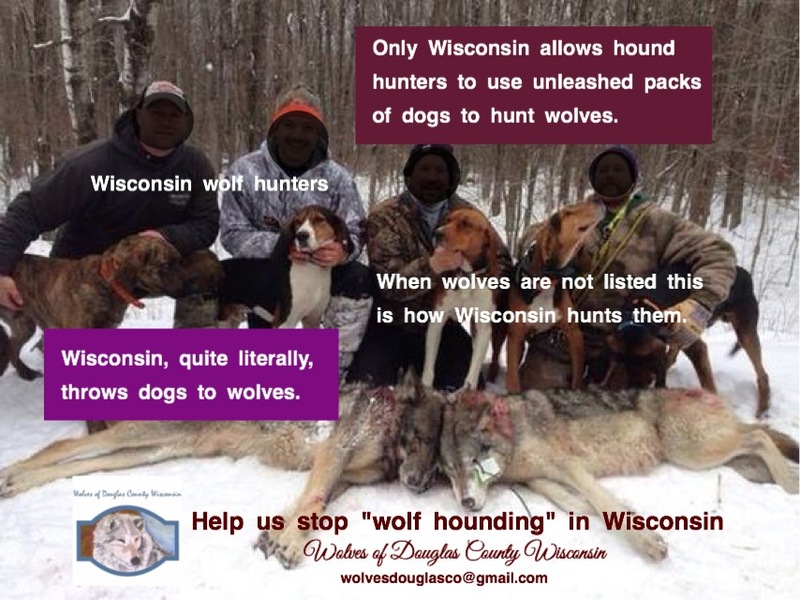 Reblogged this on Wolves of Douglas County Wisconsin . lifting protections on wolves such as greys, that are vital and essential to the chain of life and ecosystem is destructive and intolerable as well destroying a whole ecosystem , to makeway for selfish gain , that will inevietably have a negative outcome for animals plants lufe and humans alike. Letter to the editor (LTE) writing campaign: the public needs to hear from you!